ASTM A453 Grade 660 Threaded Bars, ASTM A453 Grade 660 Class A/B/C/D Threaded Rods, ASTM A453 Grade 660 Class A Full Thread Bars Dealer, ASTM A453 Grade 660 Class B Industrial Threaded Bars and Rods, ASME SA453 Gr. 660 Class C Half Threaded Bar Stockists, ASTM A453 Grade 660 Fasteners, ASTM A453 Grade 660 Class D Tap End Threaded Rod Suppliers in Mumbai, India. ASTM A453 Grade 660 Class A Metric Threaded Bars Manufacturer, ASME SA453 Grade 660 Class B Coil Threaded Bar, ASTM A453 Grade 660 Class C Double End Threaded Rods Wholesaler, ASTM A453 Grade 660 Class D All Thread Bar Exporters. Renine Metalloys is a manufacturer, exporter and supplier of ASTM A453 Stainless Steel Grade 660 Class A / B / C / D Threaded Bars, which are more resistant to general corrosion and pitting / crevices than conventional austenitic stainless steels. Available With Us At Highly Affordable Market Prices, ASTM A453 Grade 660 Class A Threaded Bars Are Known For Their Ability To Withstand High Temperature And Pressure. ASTM A453 Grade 660 Class B Threaded Bars are idyllically used in various industries for applications, which are further manufactured using rust proof stainless steel in line with the global quality standards. ASTM A453 Grade 660 Class C Threaded Bars has features to offer to our clients such as High grade material, Perfect finish, Reasonable prices, and more. We are a dependable manufacturer and supplier of comprehensive assortment of ASTM A453 Grade 660 Class D Threaded Bars, which are checked by our quality controllers on several parameters so as to supply a perfect range. Known for resistant to general corrosion, crevice corrosion, inter-granular attack, pitting and stress corrosion cracking, our range of ASME SA 453 Alloy 660 Class A Round Bars are widely used by our clients spread across the globe. We are engaged in delivering high end ASME SA 453 Alloy 660 Class B Rods which is tested for its durability and stability by our expert supervisors. ASME SA453 Grade 660 Threaded Reinforcing Bar Suppliers, ASTM A453 Grade 660 Class A ACME Threaded Bars Traders, ASTM A453 Grade 660 Class B Continuous Threaded Rods, ASTM A453 Grade 660 Class C Hollow Threaded Bars, ASTM A453 Grade 660 Class D Custom Threaded Bars Exporters. ASTM A453 Grade 660 Fasteners, ASTM A453 Grade 660 Threaded Bars, ASTM A453 Grade 660 Threaded Rods, Class A /B/C/D Gr 660 ASTM A453 Thread Bar, Buy Cheap ASME SA453 Grade 660 Threaded Bars, ASTM A453 Grade 660 Class A Custom Threaded Bars, ASTM A453 Grade 660 Class B Trapezoidal Threaded Bars wholesalers at Charni Road, ASTM A453 Grade 660 Class C UNF Fine Threaded Bar and Rod Exporters in Mumbai, ASTM A453 Grade 660 Class D UNC Coarse Threaded Bars, ASME SA453 Grade 660 Class A BSF Fine Threaded Rods, ASTM A453 Grade 660 BSW Whitworth Threaded Bar Stockists, ASTM A453 Grade 660 Metric Threaded Bar, ASTM A453 Grade 660 Class A Coil Threaded Bar Stockholders, ASTM A453 Grade 660 Class B Hollow-Core Threaded Bar, ASTM A453 Grade 660 Class C Hollow Threaded Bar Manufactures in India, ASTM A453 Grade 660 Class D High Tensile Threaded Bar, ASTM A453 Gr 660 CL. 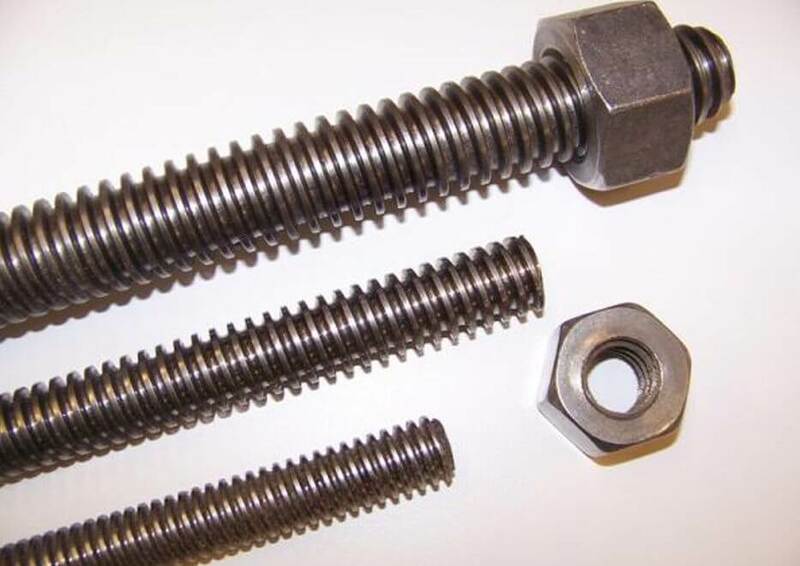 A Tap End Threaded Rod, ASTM A453 Grade 660 Class B Single End Threaded Bars, ASTM A453 Grade 660 Class C Double End Threaded Rods, ASTM A453 Grade 660 Partially Threaded Bars, ASTM A453 Grade 660 CL A Continuous Threaded Bars, ASME SA453 Gr.660 Class B Half Thread Bars, ASTM A453 Grade 660 Class C Industrial Threaded Bars and Rods, ASTM A453 Grade 660 Class D Full Thread Bars, ASME SA453 Gr.660 Class A All Thread Bar, ASTM A453 Grade 660 Class B ACME Threaded Bars, ASME SA453 Gr.660 Class C Threaded Stud Bar, ASTM A453 Grade 660 Class D Threaded Reinforcing Bar, Supplier of High Quality ASTM A453 Grade 660 Threaded Bars and Rods, DIN Standard ASTM A453 Grade 660 Threaded Bar, ANSI Standard ASTM A453 Grade 660 Threaded Bars, BS Standard ASTM A453 Grade 660 Threaded Bars, ISO Standard ASTM A453 Grade 660 Threaded Bars. Lahore, Courbevoie, Ernakulam, New Delhi, Noida, Turkey, Secunderabad, Madrid, Sydney, Sharjah, Ho Chi Minh City, Doha, Rajkot, Baroda, Al Jubail, Dallas, Chennai, Indore, Muscat, Gurgaon, Thiruvananthapuram, Atyrau, Calgary, Port-of-Spain, Hong Kong, Milan, Manama, Al Khobar, Mumbai, Ulsan, Singapore, Los Angeles, Seoul, Cairo, Jaipur, Riyadh, Kolkata, Nashik, Surat, Hanoi, Navi Mumbai, Visakhapatnam, Lagos, Abu Dhabi, Chandigarh, London, Jakarta, Bhopal, Brisbane, Petaling Jaya, Ludhiana, Karachi, Kuwait City, Jeddah, Toronto, Algiers, Busan, Houston, Tehran, New York, Montreal, Ranchi, Pune, Santiago, Ahmedabad, Howrah, Caracas, Dammam, Gimhae-si, La Victoria, Mexico City, Pimpri-Chinchwad, Perth, Chiyoda, Aberdeen, Coimbatore, Haryana, Vadodara, Dubai, Bengaluru, Bangkok, Jamshedpur, Thane, Kuala Lumpur, Geoje-si, Nagpur, Granada, Vung Tau, Moscow, Ahvaz, Istanbul, Edmonton, Kanpur, Colombo, Faridabad, Hyderabad, Australia, Rio de Janeiro, Bogota. Hungary, United States, Vietnam, Saudi Arabia, brazil, Colombia, Gabon, Chile, Spain, Brazil, Mexico, Zimbabwe, Malaysia, Ghana, Trinidad & Tobago,Tunisia, Puerto Rico, Bhutan, Kuwait, Poland, South Africa, United Arab Emirates, Bahrain, Nigeria, Nigeria, Hong Kong, Singapore, Switzerland, Bulgaria, Austria, Algeria, mexico, srilanka, thailand, malaysia, Azerbaijan, Greece, Qatar, Afghanistan, Kenya, Morocco, Turkey, Kazakhstan, Namibia, Bolivia, Japan, Tibet, Finland, Sweden, Portugal, Taiwan, Ukraine, Ecuador, Canada, Denmark, New Zealand, Nepal, Slovakia, Czech Republic, Croatia, South Korea, Belgium, Venezuela, Costa Rica, Estonia, Mexico, Lithuania, Norway, Romania, Egypt, Iran, cyprus, China, Serbia, Oman, Netherlands, Yemen, Israel, Russia, Bangladesh, India, Jordan, Thailand, Gambia, United Kingdom, Philippines, Germany, Poland, Italy, Argentina, Peru, France, Ireland, Chile, Sri Lanka, Australia, Indonesia, Iran, Mongolia, Libya, Belarus, Macau, Lebanon.